Before you dip your toes in writing your organisation's Objective and Key Results, understand the framework, components, and common mistakes first. Keeping everyone in your team in sync can be a real challenge especially if you don’t hold the members of your team engaged with the visions of your company. For a traditional corporate milieu, this is not a surprise. And probably the reason why many feel that they’re a bit lost about the direction of the company that they are working for. This is more apparent to millennials you work with. According to a study conducted by Gallup in 2016, only 40% of millennials feel connected to the visions and goals of the company they work for. Remember that a few years from now, the entire workforce will be composed of millennials. So this should be one of your priorities in transforming your company into a high performing team. But how do you really keep everyone on the same page? The answer is by involving your employees in the goal setting. A study conducted in 2015 shows an increase of employee performance by 12-15% if they’re involved in company goal setting. The good news is there’s a framework that can make this happen. It’s called OKR. OKR can literally lead your company into a unified transformation and mind-shift if implemented the right way. Back to OKRs . . .
OKR, which stands for “Objective and Key Results” is a very simple management tool that is designed to promote engagement among team members and ensure that everyone is aligned to the primary objectives of their organisation. It is widely used by many companies, including Google, and is characterised by having measurable goals. Your goals should be agile. OKR is a simple tool. OKRs centre around ambitious goals. OKRs promote a safe ground for employees to thrive. OKR is a continuous process. Contrary to traditional goal setting methods, OKRs are clearly defined, tracked, and measured on a regular basis. In most companies, it is done quarterly. OKR is a simple, dynamic process that greatly helps in promoting the team’s engagement and creativity. Ensuring that everyone in the organisation is aligned with the company goals is one of the main benefits of OKRs. It keeps everyone on the same page, with clear priorities. Can you imagine the transformation it can bring to your company? The concept of OKR originally came from Intel which spread steadfastly to many Silicon Valley startups and companies. It has such a powerful impact that even Google used it, supporting its growth from just 40 employees to over 60,000. And it’s not just Google that has uncovered the benefits of OKRs. Now, it is a popular management tool that is used by other companies like Spotify, LinkedIn, Twitter, and Airbnb. While the majority of companies that use OKR may seem like tech companies, it is a well-rounded approach that can be used by other companies in other industries. In fact, it is currently used by Walmart, ING Bank, Bradstreet, and The Guardian. So yes, it works for every industry and would likely work for your company as well. John Doerr, an American Investor and venture capitalist who also worked in Google, introduced the idea of OKR. Starting his career at Intel and later on invested in Google, Amazon, and other giant companies, Doerr gave a pitch on OKR and how it can benefit the company. Below is his Goal-Setting Formula. I will ­­(OBJECTIVE) as measured by (SET OF KEY RESULTS). His simple formula describes two things: 1) what one has to achieve and 2) how is he going to measure this achievement. Note that OKR involves measurable results. Without scaling it, a goal is not a goal. It is simply a desire. As given in the formula, OKR is consists of two things: the Objective and Key results. Objectives are basically the person’s goals which are qualitative descriptions of what he or she wants to achieve. These are short, engaging and inspiration statements that are meant to motivate and challenge the team. Under each objective, there are 2-5 key results. The idea is to keep the Key Results as few as possible as having more would be difficult to remember. Objective: Create a positive customer experience. One of the key goals of every business is to provide their customers with a positive experience. This statement is engaging, motivating and at the same time, challenging. The objective sounds wonderful. But without key results as a way to measure how far a team or individual has gone through in terms of achieving the Objective, it remains just a goal. This is where the importance of Key Results come in. As an executive of your company, how do you know that your team is serving customers with superb attitude? Obviously, you take into account how people are perceiving your products through various measures like the Repurchase Rate and Net Promoter Score. Basically, you want to know how the customers feel about dealing with your company, whether they would buy again, and if they will recommend your business to other people. However, looking at the NPS and repurchase rate alone might not be enough to accurately conclude that you are providing an awesome customer experience. It could even encourage you to make customers happy and satisfied at any cost, which could later on harm your business. What else can you look at then? One good key result would be measuring your Customer Acquisition Cost. This keeps the balance between making customers happy and keeping the cost under control. Raise Repurchase Rate from X to Y. Improve Net Promoter Score from X to Y. Lower order cancellation from A% to D%. Increase Net Promoter Score from A to C.
Improve average daily visits per active user from X to Y. Increase Organic traffic from X to Y. Note that the Key Results, as shown in this example, should be clear and specific. You have to identify the numbers to measure the results. While the objective is a high-level statement of what you want to happen, the Key Results are specific, measurable actions. Key Results are very important. They just don’t measure your goals, they also define what your goals are. OKRs are never meant to be static or rigid. These goals adapt to the organisation’s needs and way of working (company culture). OKRs are created and reviewed between shorter periods. It can also be changed as needed. OKRs are among the most effective organisational tools mainly because it is so simple and straightforward. Objectives are stated concisely, as well as the key results. 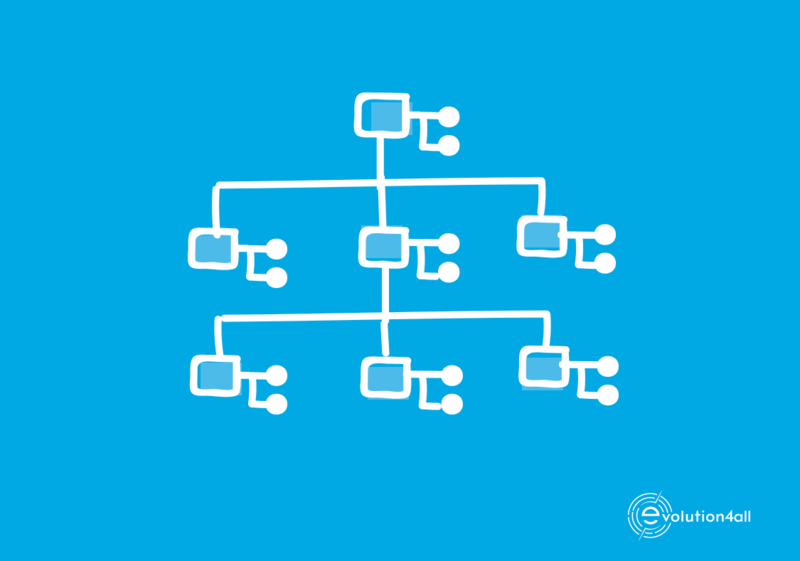 This is to avoid confusion and ensure that everyone in the team or organisation is aligned. It is done on a quarterly (sometimes annually or even monthly) basis, reducing the time spent on setting goals. As a result, organisations invest more in achieving their goals, not just in setting them. The main goal of OKRs is to ensure that everyone in the team is on the same page. Thus, they are usually open to anyone within the organisation. Individuals across all teams or departments have access to what other people are doing, what their goals are, and how well they are performing. Organisations are ever-changing. Change is critical for a company to keep up with the competition in their respective industries. OKRs are flexible. They can be changed to adapt to the company’s changing needs. Unlike the traditional top-down model, OKRs are more time-efficient and add value. In his book, World Rules, former VP of Google People Operations Laszlo Bock said: “Having goals improves performance. Spending hours cascading goals up and down the company, however, does not. It takes way too much time, and it’s too hard to make sure all the goals line up.” This kind of cascading method drives engagement and makes the process even simpler and faster. The philosophy behind OKRs is that if your team is reaching your goals 100% every time, it means that your goals are too easy. Thus, if your team is achieving a perfect score in your key results, it is not an indication of success, rather, a nudge that you have to motivate them to do better. OKRs are designed to help teams set challenging goals. Instead, OKR targets bold, ambitious goals. Besides aspirational objectives, OKR believes in enabling the team to set challenging goals. Goals that make the team rethink the way they work to reach peak performance. Organisations that use OKRs provide a low-risk environment for their employees to experiment and set challenging goals. Members will not be punished or lose money if they set ambitious goals. This makes them more motivated to aim higher. Furthermore, they are rewarded for their impact on the business. OKR is a process, not an event. It involves cultural transformation. It changes over time. Some companies tend to do it wrong. Here are some common OKR mistakes that many organisations do. Avoid them at all cost. They use OKR like a task list. OKR measures how you deliver value, not do tasks. There is a fine difference between value-based and activity-based key results. They set too many OKRs. OKRs work best when done one at a time. OKRs include high-level goals per quarter, particularly your top priorities. They don’t align their OKRs to the company goals. Teams should align their goals with that of the other teams, and the organisation as a whole. They set it and forget it. Goals are only goals without measurable actions. So what do you think? Would OKR help your company to reach the next level? If yes, here’s a concise way to help your team get started. The most effective OKRs are short and easy to understand. They should be challenging and not boring. Most of all, they should fit the organisational culture. OKRs don’t have to be formal statements. They can be stated using the language used in your organisation. Furthermore, separate metrics from initiatives. There are usually 2-5 key results per objective so your team won’t be overwhelmed. If you need more guidance in implementing this framework in your company, feel free to reach out. 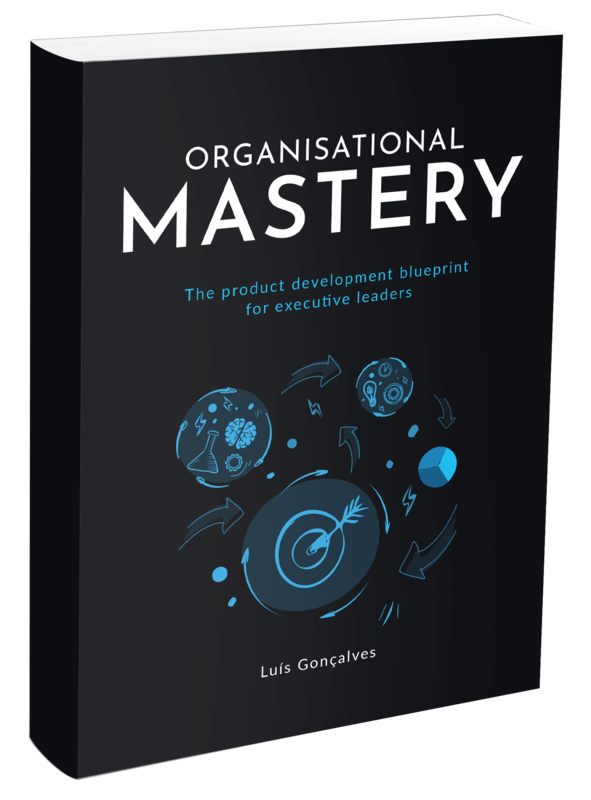 Don’t forget to take our Organisational Mastery Test so we can accurately diagnose the improvements we can implement in your company.